In this blog, I am going to compare the two most popular social news sites, Digg and Reddit. For the past few years, I have used Digg and I have grown very accustomed to it. I use it not only to get the news, but also for enjoyment. For instance, when I checked Digg today the first piece that came up was this, which put a big smile on my face (exactly what I need after a stressful day). I have heard of Reddit in the past, but I have always been content with Digg and therefore never spent time to check it out. 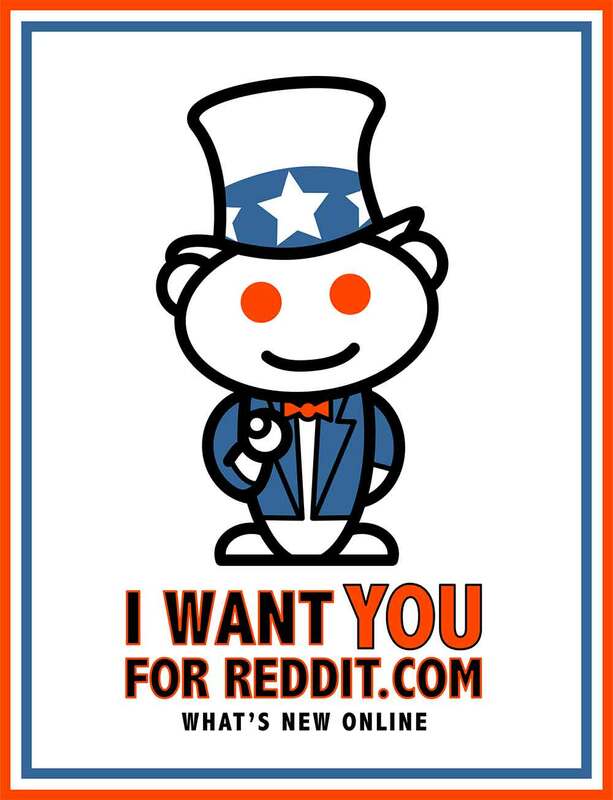 Therefore, in this blog I will be reviewing Reddit, while comparing it to Digg at the same time. Then I will discuss their application to my term project, Apple. After searching through Reddit's website, I found that the best feature is that you can give a story a positive OR a negative review. Digg only allows you to "digg" (a positive review) a site, and therefore this is different from Reddit. 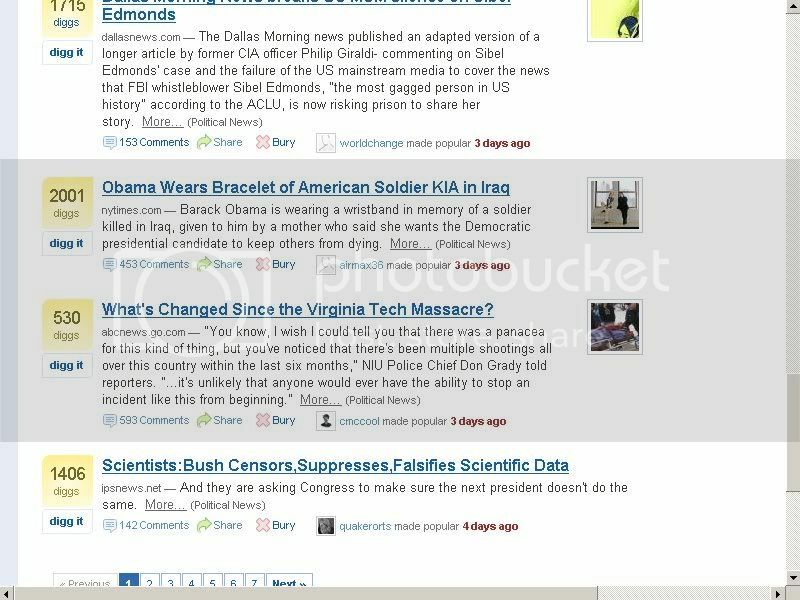 In the past while using Digg I have actually thought it would be a neat idea to allow users to do this. At first, while the idea sounded cool I wasn't sure if it's something that would work well. Boy was I wrong! I checked out the Controversial section and instantly was impressed. While Digg is engrossed with Liberal Democratic news, the Controversial section of Reddit actually provides both sides of the story. I quickly ran across an article discussing a Texas businessman who wrote a letter criticizing Obama. It was very interesting to read and is something I never would come across on Digg. Most of the other news pieces in the Controversial section was very appealing, and I actually became engrossed searching through it. This is my favorite feature of Reddit! One of my favorite things about Digg is it allows the user to pick a category (Technology, World&Business, Science, Gaming, etc.) and each category even has subcategories! Reddit has a similar customization feature, however, Digg's is much more simple. The nice thing about Reddit's customization feature is it allows you to be extremely specific about your search. For instance, if you want to read news for everything except Science, Entertainment, and Atheism, it will allow you to. This is different from Digg's subcategories, and they both have their pros and cons. However, Digg certainly gets the nod over Reddit here, especially because it allows you to sort your search by News, Video, Image, or All. This is a feature I use frequently because many times I like to look through the Images section for a good laugh, or gaze the news section to learn news about a topic. Reddit does not offer this option. Do they help with my Apple search? The main goal here was to find a reliable results page to add to my RSS Feed, one which has a lot of good Apple stories. The best way to do this is to customize my search so that I am receiving a good number of recent feeds that have an adequate number of Digg's (an article with too few Digg's might not be important, or might be a useless rumor). I tried a few different queries, but the main two that worked well were "Apple Inc." and "Apple". There are three search settings that Digg allows you to customize. These search features made my search a lot easier because it allowed me to customize it to find the appropriate results I wanted. The query "Apple Inc." brought back great results, however, it gave an insufficient amount. It appears that this feed would add approximately 4 new articles a day, which is not enough for what I'm looking for. Therefore, I decided to go with the query "Apple". The best settings I found were Search Title Only, All Stories, and Newest Feeds First. It's important that it sorts "newest feeds first", because every time a new feed is added, it will be added to the top, and therefore will be added to my Bloglines. It appears this will provide me with approximately 40 articles per day. While this is a lot, these are easily scannable because many of the results will be duplicates of my other feeds. Given that this is a social news site and some of the articles have a low number of Digg's, I need to be careful to make sure the items are true and that they are about Apple (the company, not the fruit). Skimming through some of the current stories, I am very pleased to see the results. Searching the query "Apple" was an immediate failure because many of the links did not regard Apple the company. One of the first few discussed how to make caramel apple cupcakes and another apple art (which is actually kind of cool). I refined my search a bit by customizing it for only Technology and News, however, this apparently doesn't apply to the Search feature (it didn't change the results). A search for "Apple Inc." brought back accurate results, however, it appears they only happen every couple months (making it a worthless feed). I tried some other queries, such as "iPhone", "iPod", and "Mac", but to no avail. Again all of the articles were spaced out over several weeks. I looked through the site thinking that maybe I'm doing something wrong (how can it be so ineffective?) but it appeared I did everything right in my search. For my term project on Apple, Reddit is no help. I like Digg much more than Reddit, and I think most online users agree (Digg has 7x the users that Reddit does). However, I have been using Digg for years and therefore I am biased. I do think it is really interesting how users can rate an article positive and negative on Reddit, and the Controversial section is a very cool feature. While Reddit is unhelpful for my term project, it could be very helpful for you. I would highly recommend giving both Digg and Reddit a try.